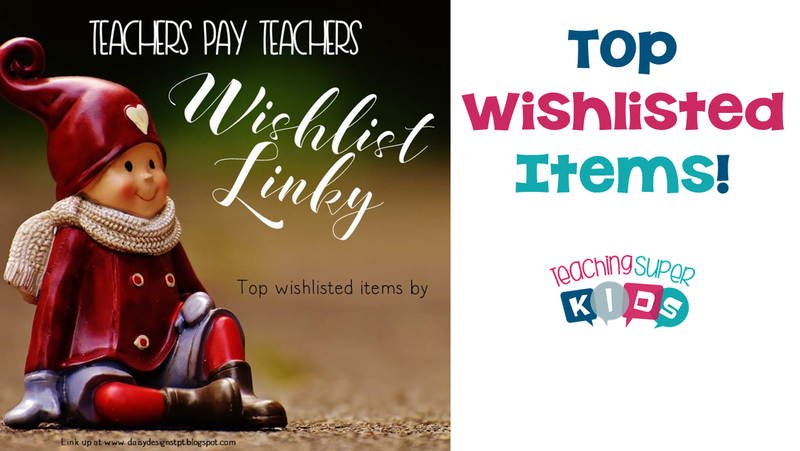 Here is the 2016 Top Wishlisted Items from my Teachers Pay Teachers Store. Linking up with some fellow seller bloggers to share our top wishlisted items for 2016 just in time for the big Cyber Monday and Tuesday sale. First up on the list is this: The QR Code bundle set of over 200 stories for your listening centers. Listening Stations are a perfect way to incorporate technology into your classroom. Works well if you use Daily 5 for Listen to Reading. Each story has 2 different student response sheets that are differentiated for your students. This is from my December set! Item number 2 is the Write the Room bundle. This bundles has several different monthly themed write the room activity sets. Each set also includes a set of high frequency word cards that you can use for sentence building activities. The write the room cards sets have 3 different worksheet activities to go along with the cards. The last item is My Alphabet QR Codes! These have so much fun to use with the kids! Alphabet QR Codes for your Listening Center. This set contains 10 QR Codes for each letter of the Alphabet. 8 Letter sounds songs, 1 video for handwriting and 1 story. You can try it before you buy it by downloading the Preview for a free SAMPLE for letter Aa. Looking for some other great items to add to your wishlist or cart? Visit Daisy Designs and see the full link up.